Spirit and Body Massage provides Prescott and surrounding areas chair massage that brings immediate benefits to any workplace setting. Spirit and Body will take care of your staff by improving circulation, reducing chronic muscle tightness and relieving the physical problems caused by receptive task. Other benefits of massage in the workplace are improved attendance and efficiency. 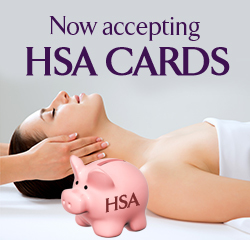 Companies often see a subsequent reduction in healthcare expenses as massage eases soreness, boost range of motion and improves immune system function. Running a business can be pressure enough. You shouldn’t have to agonize about making the office a stimulating environment. 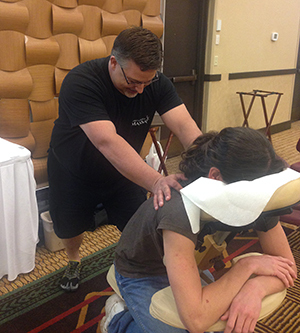 Spirit and Body makes it easy to offer Corporate chair massage to your staff. We will work on chronic tension spots with individual sessions lasting for 10-25 minutes. A simple chair massage to your office/ workplace will rejuvenate stiff muscles and calm restless minds and employees regard this type of care as recognition of their value and their hard work. Spirit and Body Massage can help lead your company towards a more dynamic, productive future. The Heights Church – Spa and Beauty Day for Vital Moms. Please call Spirit and Body at 928-533-9247 for more information or to book your next employee self care day. Online booking is now available and easy. Just select Massage Event and your desired appointment time. When filling out your contact information, let us know how many hours you would like Spirit and Body to provide chair massages. One of our massage therapists will call and confirm your appointment.